Solve riddles and different puzzles to discover the way out of the mysterious hotel room. 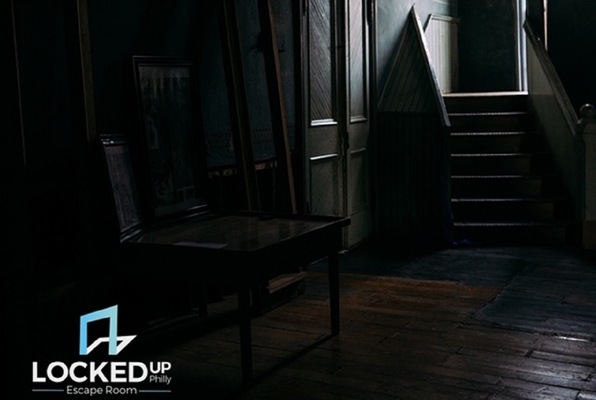 Last reviews of escape rooms by "Locked Up Philly"
My fiancée and I are just short of having done 75 escape games and Room 1409 at Locked up Philly definitely hit our top five list in the Philadelphia/South Jersey area. The room was very well put together and engaging. The puzzles were solid and and the tech functioned seamlessly, which made for a great experience. We cannot wait to come back when the new room become available in February!! Loved the 1409 room! Tricky and spooky, highly recommend!! I can’t wait to take on the next escape room they have! We celebrated our friend's birthday here last night and we had a blast! I never did an escape room before so I wasn't sure what to expect. They definitely left a great impression. We did room 1409. The puzzles we had to solve were very clever but not impossible. When we got stuck they would give us clues to get back on track. I will definitely be returning to try the other escape room!